The Finance WorkCenter is expanded with more links to the things you use most. For pay dates that occur after October 1, 2017, you will notice a different appearance for your paystub. The payroll data in the improved paystub will be correct, although there will be some appearance differences on your paystub where your earnings, deductions, leave, etc. are displayed. In May 2016, after many years of great service, the mainframe computer was shut down, capping a year-long effort to decommission the legacy systems. This page collects in one place instructions for where to find information from legacy systems, and also how access is given for the legacy systems that are still up and running. Click this link to view the HR Payroll Calendar on the Finance website. Visit the link here. This brief guide includes details on how to fill in the fields of the Chartfield Checker tool and how to troubleshoot error messages. 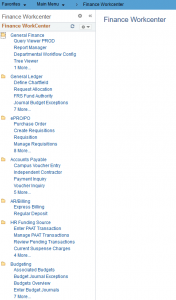 A comprehensive list of available finance reports and queries on a searchable web page. This page provides links to instructions on how to order official and unofficial transcripts for current students and alumni. Online and searchable version of ConnectCarolina training manuals. 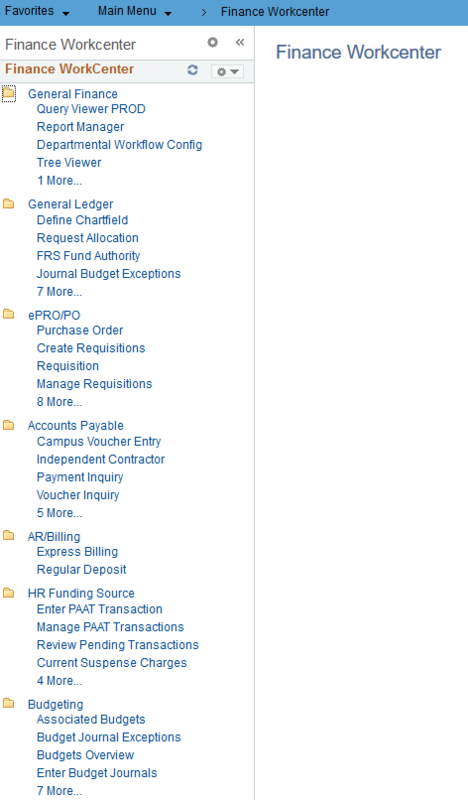 A comprehensive list of available HR and payroll reports and queries on a searchable web page.